Would you like to relieve tension in your body? Find more freedom in your playing technique by improving your body awareness? Learn to focus and calm your mind in any performance situation? ages, levels and instruments. These classes are taught by a qualified yoga instructor who is also a professional musician. Anna designs and delivers each class drawing on her own experiences of integrating a regular yoga practice into her career as a pianist. Each class will offer the opportunity to gain more awareness of your breath, body, posture and mind and ultimately enable you to take this awareness into all aspects of your music making. The life of a musician is usually very physically and mentally demanding filled with stressful deadlines, longs hours of practice and the pressure of public performance. Too often musicians are haunted by repeat injuries, pains and general physical fatigue that prevent them performing at their full potential. Many musicians, even when firmly established in a professional career, struggle with performance anxiety and are unable to express themselves with ease and freedom in any performance situation. A regular yoga practice can help to maintain balance, perspective and physical health in every stage of your musical career. There was a reason that the famous violinist Yehudi Menuhin considered his yoga guru B.K.S Iyengar “my best violin teacher” and practiced headstand for 20 minutes each day! 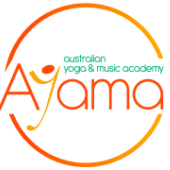 Classes at the Australian Yoga and Music Academy will offer practical techniques to increase strength, relieve tension and create healthy movement patterns to prevent or repair injuries. Each class will also focus particular attention on fine tuning your control and use of the breath to create a calm and focused mind in any performance situation. AYAMA offers the opportunity to arrange a yoga class for up to 3 people at a time of your choice! ﻿Special discounted rates are available for music students when purchasing classes in blocks of 5 or 10 sessions. ﻿Bookings can be made here.